mojomade: WIN a MojoMade Gift Pack valued over $600! WIN a MojoMade Gift Pack valued over $600! In the lead-up to the launch of my new MojoMade Tank collection, I'm giving away a bunch of wickedly cool prizes based around everything I love!! There will be 5 lucky winners - so you're in with a good chance! The giveaway is open to INTERNATIONAL entries & HAS BEEN EXTENDED UNTIL MONDAY MAY 7th 2012. 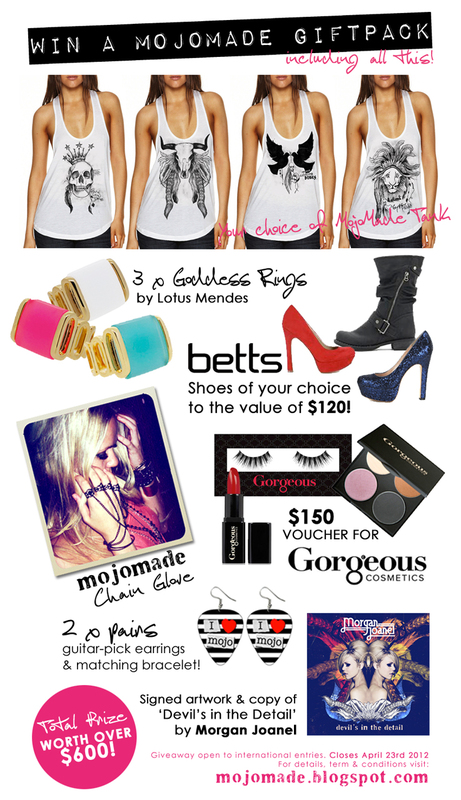 Prizes thanks to Betts Shoes, Gorgeous Cosmetics, Lotus Mendes and Me! 1st Prize: EVERYTHING you see above!! Ah! Now I see what you did with the lion drawing! I like it! wow!! !i love this giveaway!! 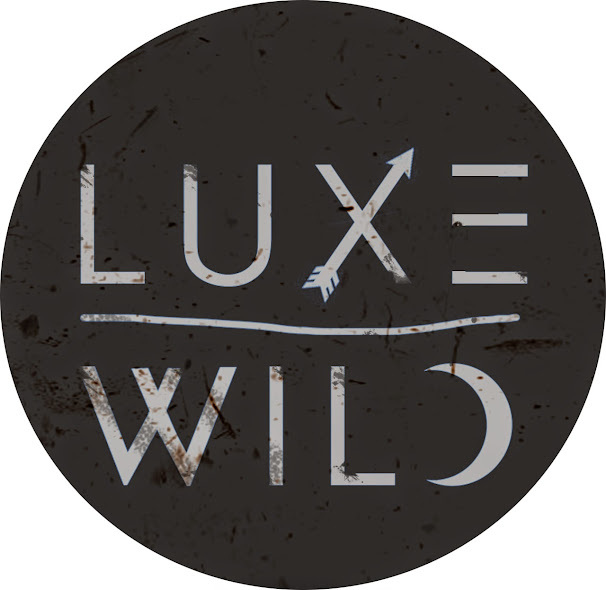 !i love your designs!! !you are an artist!!! Shared and Tweeted. Loving this giveaway! Wow, this is the most amazing giveaway ever! Lol! I follow you on GFC as Silvia M.
My fav is number two, great design !! Thats so cool! Big thanks! Hello!! The giveaway is posted into the greek contest site http://winiteasy.blogspot.com/2012/04/blog-post_6520.html#more and also into the fan page https://www.facebook.com/WinItEasy . Best Regards!!! Wow, this is the best giveaway! So excited! I tweeted: https://twitter.com/#!/babybraddy/status/188732519049461760 and shared on Facebook: https://www.facebook.com/z853www/posts/401703073176103. Hey Morgan! So excited for this giveaway! Wow, what an incredible prize line up! I have bought many shoes to Send Gift Pakistan for my friends. I'm on a Tshirt in Zara! WIN $2000 Shopping Spree & Tix to Bluesfest!